The idea that the stock picking makes less and less sense since the markets are more and more driven by the macroeconomic factors is quite popular. Especially right now, as the markets are falling (like on todays FEd decision to increase the rates), this idea may seem to be plausible. However, we show that in the long term the stocks do show enough of individuality. Continue reading "PCA, Autoencoders and the Feasibility of Stockpicking"
Historic Black Swans in Historical Financial Data: EQT on 13.11. 2018 et al. On November 13, 2018 the shares of EQT Corporation (NYSE:EQT) fell down by 46%. Yet, as Montley Fool reported, it was just a spinoff of the midstream assets into a separate public company, Equitrans Midstream Corp... FinViz and eoddata.com has completely failed to depict this event properly. Yahoo.Finance and AlphaVantage coped with it but only to some extent. We discuss the problems, caused by such events and sketch some ways to mitigate them. Continue reading "Historic Black Swans in Historical Financial Data: EQT on 13.11. 2018 et al." Author letYourMoneyGrow.comPosted on 19th November 2018 8th December 2018 Categories AmericanStocks, BestPractice, EnglishLeave a comment on Historic Black Swans in Historical Financial Data: EQT on 13.11. 2018 et al. The Highest Volatility in October? Don’t trust a Superficial Statistics! A recent post "Fasten your seat belt for stocks: October is almost here" on MarketWatch, repeated by Morningstar and shared in my social networks may make an illusion that it is likely to expect high(est) volatility in October. A little bit more detailed statistical analysis shows that such expectation is superficial. A more general (and very old) lesson from this case: the statistical analysis is much more than a primitive consideration of the mean values in groups. And of course: don&apos;t trust provoking titles. 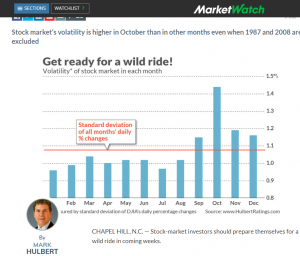 Continue reading "The Highest Volatility in October? Don’t trust a Superficial Statistics!" Author letYourMoneyGrow.comPosted on 1st October 2018 28th December 2018 Categories AmericanStocks, BestPractice, EnglishTags R, volatilityLeave a comment on The Highest Volatility in October? Don’t trust a Superficial Statistics! On the fateful Wednesday of November 1st, 2017 Yahoo decided to stop their – until then – free service of delivering real time market data as a text stream through a special URL. For hundreds of businesses and individuals who had relied for years on Yahoo&apos;s benevolent free service, this single action meant only one thing: Instant death! Continue reading "Yahoo Finance Live Feeds in Excel after their API Discontinuation in November 2017"
Whereas the opinions on the usefulness of technical analysis are highly controversial, it is generally agreed that the fundamental analysis does make sense. Value investing, e.g. the choice of companies with low p/e and p/b coefficients but high RoE and EBIT-Margin is not an uncommon approach. However, the data quality and creative data interpretation are critical. Otherwise one yields yet another GiGo: Garbage in, Garbage out! Continue reading "Your Fundamental Analysis is Only as Good as Your Data are: The Example of NWL"
Two months ago we suggested you to buy a list of stocks, carefully selected from SP500 index on both fundamental and technical criteria. 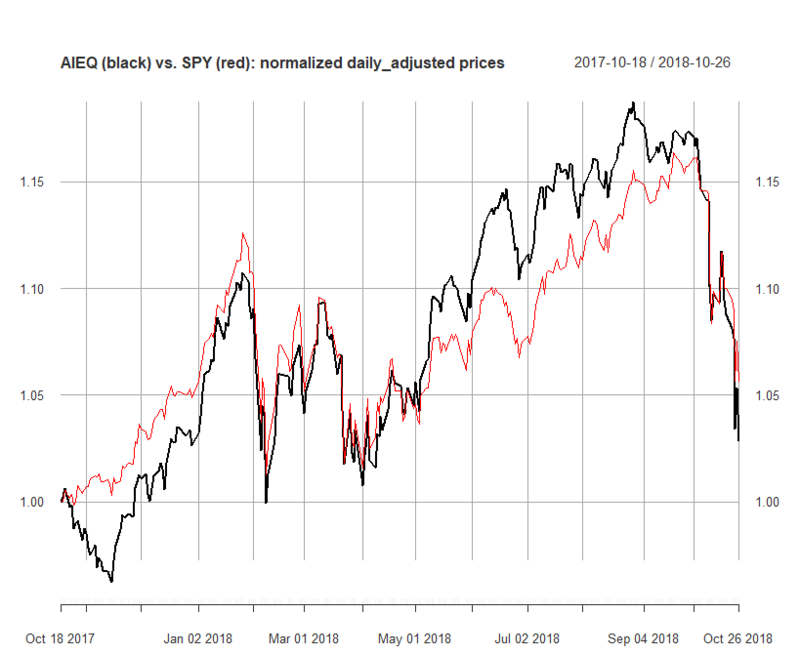 One month later we have published the results: though our stocklist has clearly beaten SPY there were no evidences of formal statistical significance. Now there are. Moreover, you have an opportunity to buy our next stockpicking report just for $10. 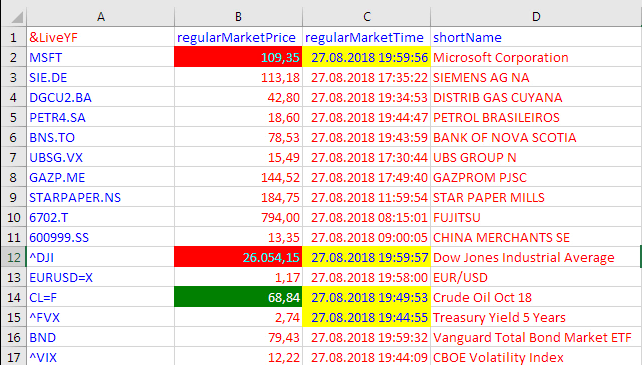 Continue reading "What You Have Missed by Not Buying Our Stocklist for just $5 – Part II: Statistical significance"
One month ago we screened all stocks from SP 500 index and suggested busy investors to get rid of information overload and purchase our stock list just for 5 USD. Only a few investors considered our offer, which has brought about 3% return within a month, whereas SP 500 return stagnated around zero. Continue reading "What You Have Missed by Not Buying Our Stocklist for just $5"
Investor, get rid of information overload! Retail investors are overwhelmed with information. Meanwhile the payload of these numerous analytics and market reviews is zero or even negative. Is a passive investment in an index ETF a solution to this problem? Yes, but not necessarily the best one. We provide a short list of S&P 500 stocks with good fundamentals, low volatilities and correlations and nice charts from technical point of view. Continue reading "Investor, get rid of information overload!" 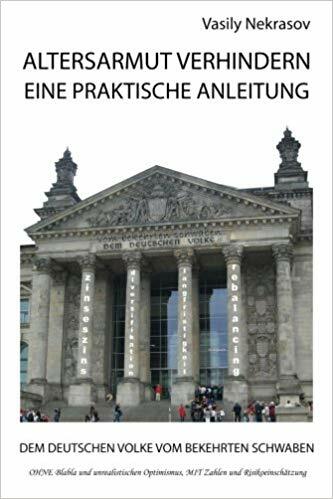 Author letYourMoneyGrow.comPosted on 3rd June 2018 4th June 2018 Categories AmericanStocks, BestPractice, English, Opportunity1 Comment on Investor, get rid of information overload! Elle keeps practicing to read the charts and recently she found a strong resistance level for DAX at 12600. So we partially went to cash, however, somewhat prematurely. We tried to turn this setback into an opportunity and bought Viacom (VIAB) stocks... which dropped by -6% today. Still we hold it for a fundamentally good investment and will keep the stock. Continue reading "JuniorDepot6a – Suboptimal Market Timing and 2nd Stockpicking Attempt with Viacom"